How many people need to do something before it becomes a trend? If you’ll accept two as an answer then please permit me to be the first to announce the latest celebrity trend: people who I like circumnavigating the British Isles under their own steam. 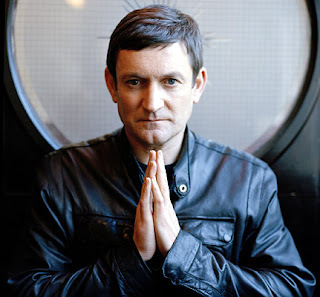 Yes, hot on the (kitten) heels of Eddie Izzard’s still frankly astonishing 43 marathons in 52 days for Sports Relief, Paul Heaton is undertaking a UK tour with a difference; on his bicycle. True to form, the former Beautiful South-er and Housemartin is performing each gig in a different pub where he and his small crew will stay for the night. They will then cycle on to the next gig whilst their equipment goes ahead. Dates are still to be announced but details of the Pedals and Pumps tour will be posted on Paul’s just-launched website at paulheatonmusic.co.uk.